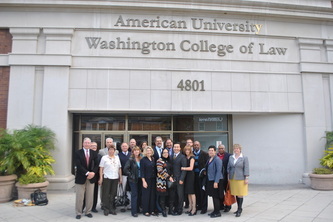 The Task Forces convened in Washington, D.C. in 2010, 2012 and 2013 for RJIP Racial Justice Training. 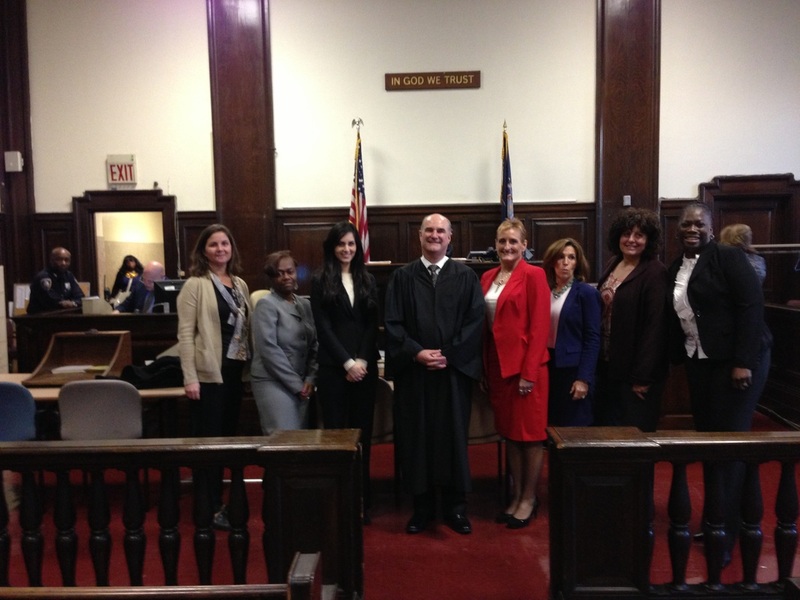 The Delaware Task Force examined probation revocation practices in the state. 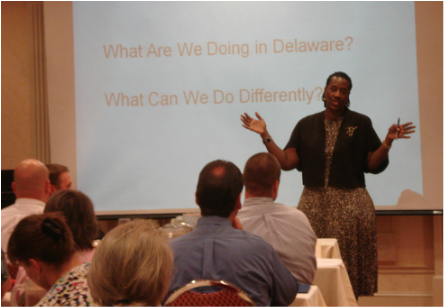 Cynthia Jones speaking at the Bias-Free Decision Making Workshop for the Delaware Probation Department in Dover, Delaware. Wayne McKenzie at the Bias-Free Decision Making Workshop for the Delaware Probation Department in Dover, Delaware. The Delaware Task Force at a Task Force Meeting in Wilmington, Delaware. New Orleans, Louisiana Task Force decided to expand their current local diversion program housed with the District Attorney's Office. Workshop in New Orleans, Louisiana. Cynthia Jones speaking at the Diversion Workshop on February 11, 2011. New Orleans Diversion Workshop participants. St. Louis County, Minnesota focused on racial disparities in pretrial detention and release. Preliminary data showed that Native Americans and African Americans were subjected to pretrial detention at a higher rate and were given higher bail than defendants not of color. 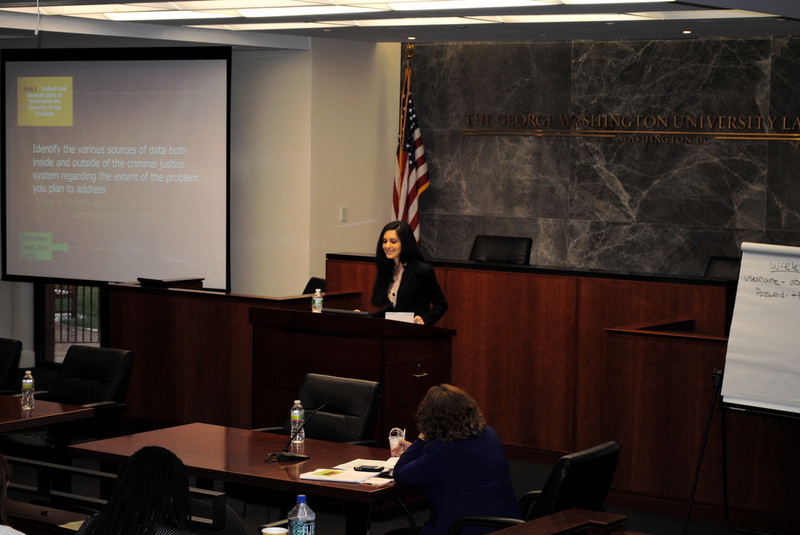 Hanna, Director of the Criminal Justice Section, speaking at the initial training meeting in Washington, DC in 2010. 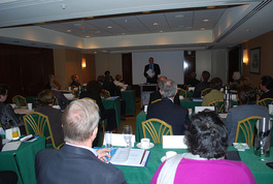 Mark Mauer, Executive Director of the Sentencing Project, speaking to the task force groups on criminal justice reform. The Minnesota Task Force met to discuss their data report prepared by their hired data expert, Dr. Robert Weidner. Brooklyn, New York focused on implementing juvenile diversion programming. July 28th 2011 at the Brooklyn District Attorney’s Office. A few members of the Brooklyn Task Force.